I’ve always had a bit of a soft spot for Deer and Doe patterns, their designs always appeal to me and the drafting is such that they’re a pleasure to sew. The Sureau is my go to dress when I can’t decide what to wear, the Chardon is practically the only skirt I wear and the Plantain tee is heads above any other pattern I’ve made. As they are drafted for an hourglass figure and a C cup they always seem to fit with minimal adjustments. When the Melilot shirt was released I ordered it straight away. 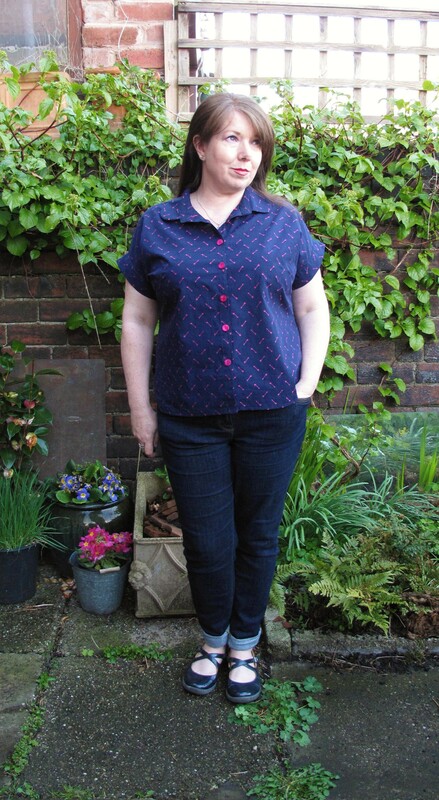 I’d been looking for an alternative shirt pattern to my TNT Grainline Archer and judging by the photos the Melilot seemed to fit the bill. A couple of months ago I entered a giveaway on Instagram from Fabworks Millshop for a bundle of fabrics. I was over the moon when I found out I’d won, particularly being on a stash diet since the New Year. Opening the parcel was amazing and I was mentally matching patterns to each piece as I went through. They were nearly all blue too so it had to be destiny! 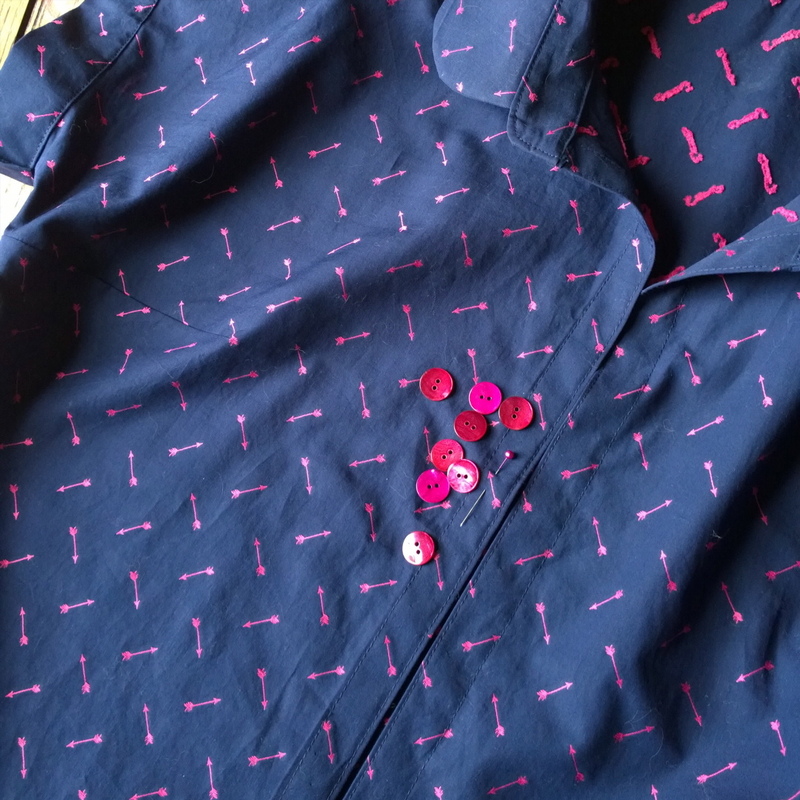 This was the first piece of fabric I used, a Navy cotton with little pink arrows embroidered into it. Looking at the pictures I decided to shorten the bodice by 2 inches, a usual adjustment for me being 5 foot 2 inch and short waisted. Going by the finished measurements I cut a 46 which is the largest size. The instructions are quite brief but if supplemented with a couple of online tutorials could be tackled by an advanced beginner. The button band had me puzzled for a while, I couldn’t figure out how it folded together. It was only when I looked at the picture on the envelope that I realised view A has a concealed button band which accounted for the excess bit of fabric. As I had some pink Mother of Pearl buttons in mind I went with the exposed one. I opted for a mix of both views, using the collar of view A with the button band and sleeves of view B. I left off the pockets due to a combination of laziness and feeling they would upset the print if I didn’t match them perfectly. I used Andrea of Four Square walls tutorial for attaching the collar. This is arguably the best tutorial ever written and I use it every time it comes to attaching a collar, Her method makes it so easy. As I was making the short sleeved version I didn’t need the sleeve placket. I did however look over the instructions and if you’ve never done one before it would be difficult to follow. 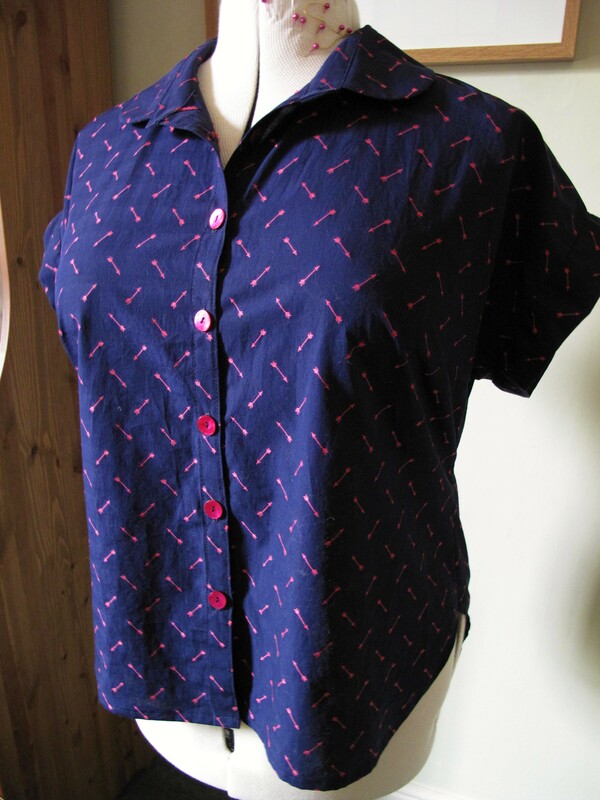 There are some good tutorials out there though, such as the one Tasia did for her Sewaholic Granville Shirt. I checked the final measurements of the shirt and they correspond to those given on the envelope. It’s so much easier to pick the right size when looking at the finished measurements, I really wish more pattern companies would include these on the envelope. Overall it’s definitely a winner for me. The rounded collar and darts give it feminine silhouette which will work well on curves. It’s also versatile, with the different variations and the potential to work with a wide range of fabrics. 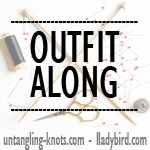 I’m glad to have found another wardrobe staple, especially as I have so much fabric now to choose from! 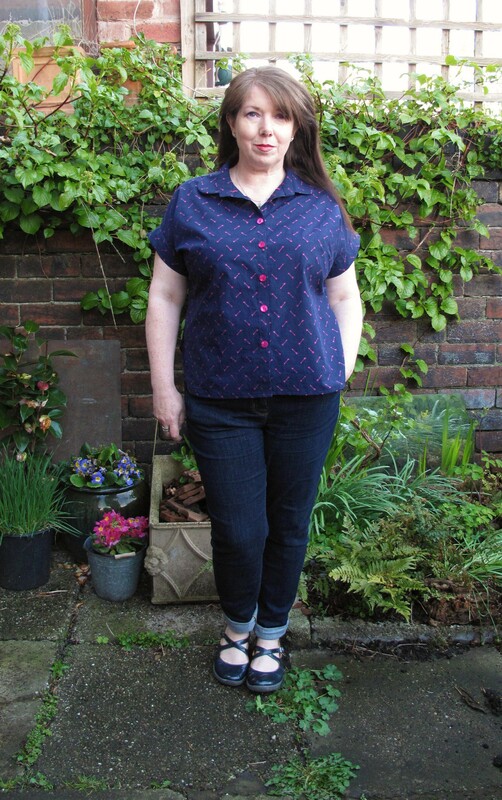 This entry was posted in Finished Sewing Projects and tagged deer and doe melilot shirt, melilot collar, melilot shirt, melilot sleeve placket. Bookmark the permalink. Lovely, great shape on you. 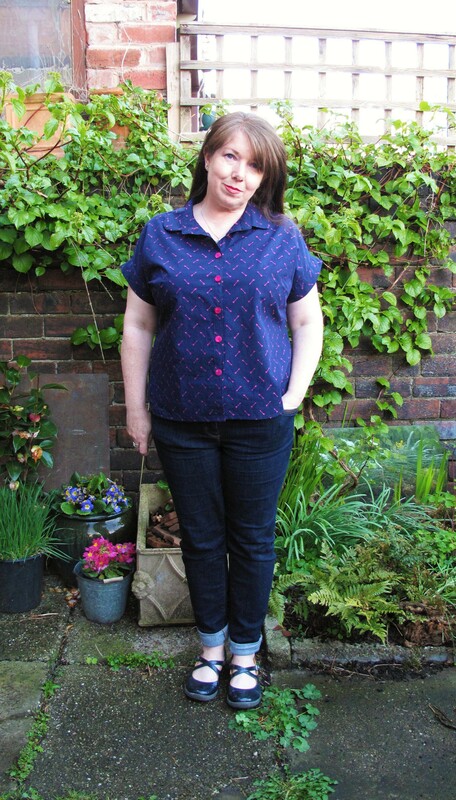 That fabric and those buttons are perfect together, really suits the blouse too. Congrats on you fabric win looking forward to your other message makes. Nice shirt! Your choice of buttons really makes the arrows sing. I’m looking forward to seeing what you make with your other giveaway goodies. Thank you, I was completely shocked when I found out I’d won, it was such a good prize, there’s enough to keep me going for the rest of the year! The shirt looks so nice on you! I love the pink buttons. They are a great touch. The stack of fabrics you won is lovely! Can’t wait to see what else you make from them. Thanks Teri, There’s some gorgeous fabrics in there and all my favourite colour. 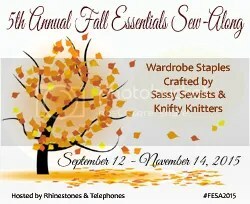 I’m hoping I get time to sew everything up before the end of the summer! I haven’t heard of these patterns but they sound great especially as the hourglass figure is so difficult to sew for – all those curves! 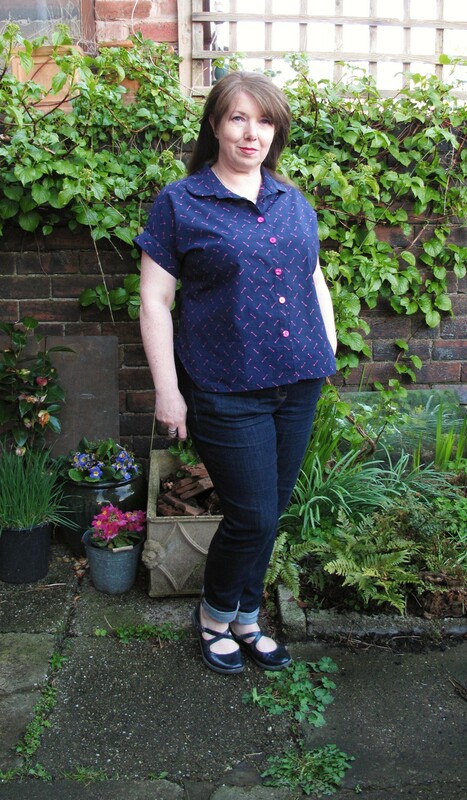 The shirt is lovely – it really flatters you and the fabric is delightful. 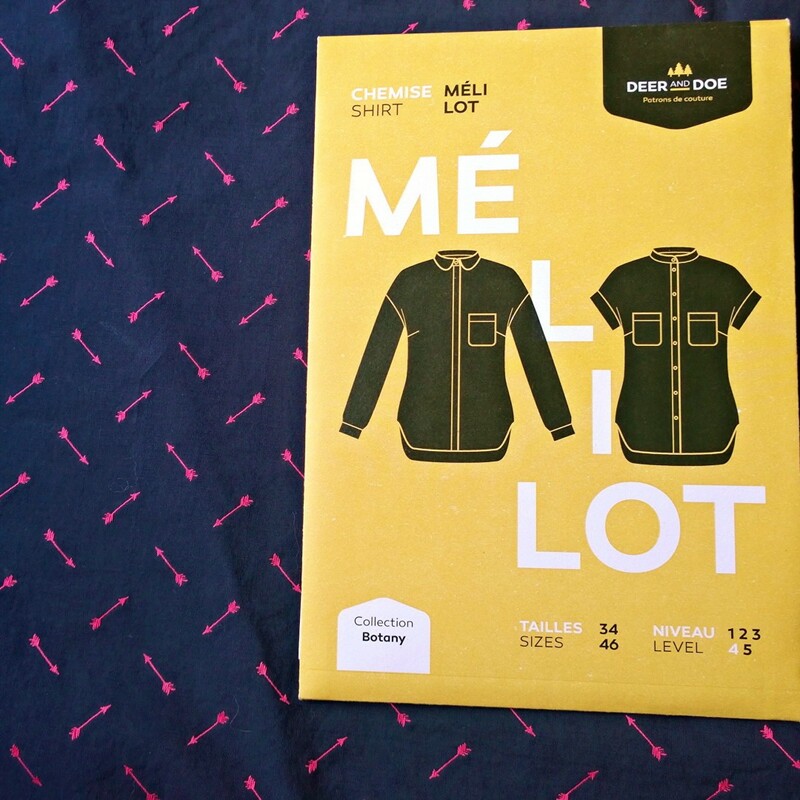 Your Melilot is fab, and the fabric is gorgeous! 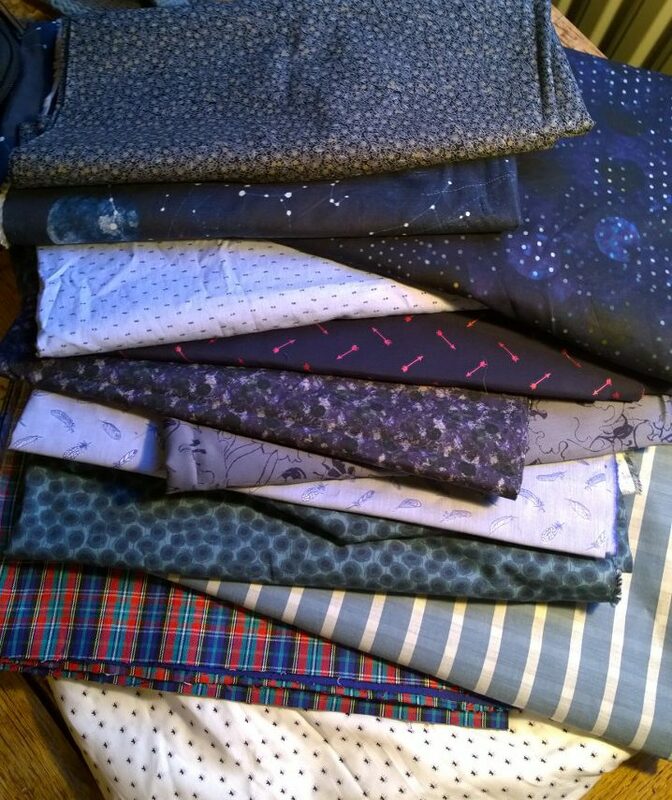 What a great fabric haul. 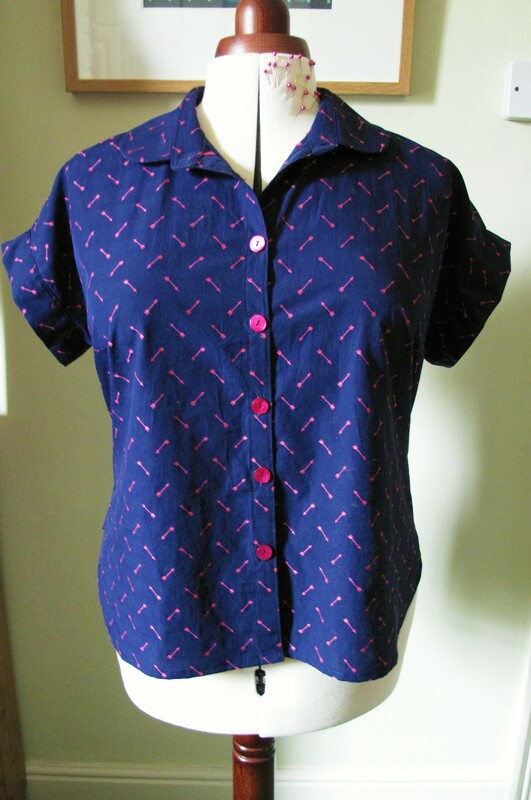 Great minds clearly think alike, because I had exactly the same problem with the button placket on View A, and attached the collar the same way you did! 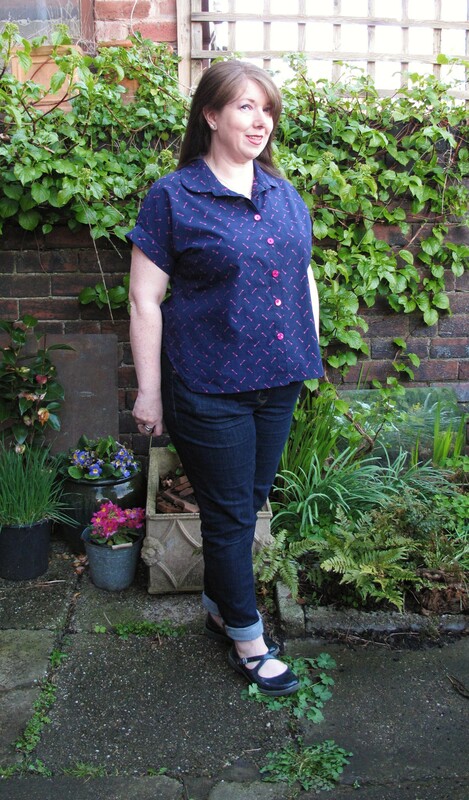 Thanks Lynne, I love that collar tutorial so much, it makes what used to be complicated and fiddly so much easier! It looks great Helen!! 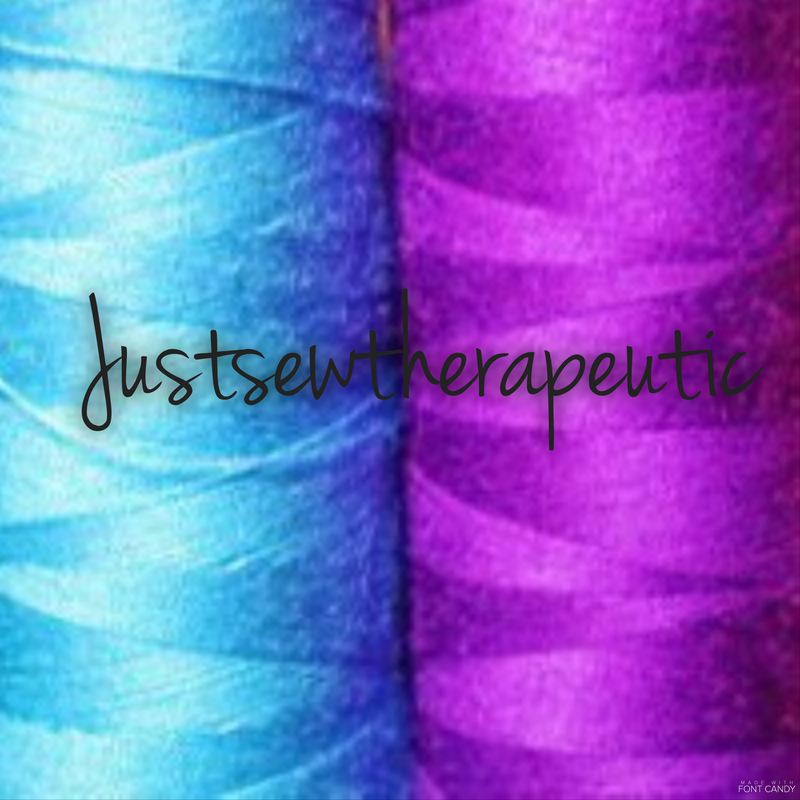 Looks like you won a great bunch of fabrics! Congrats!